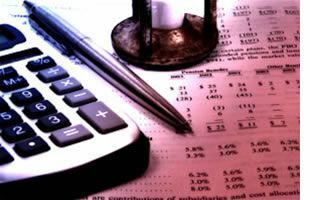 In simple terms, a forensic accountant is an expert who assists the Judicial Officer and legal counsel in understanding specific financial issues. The accountant is skilled in analyzing financial data and related transactions and putting them into context for the case at hand. The forensic accountant can uncover hidden income/assets, discover fraud, understanding assets and performing an analysis of various documents. The accountant will usually begin by looking at he couple’s tax returns and understanding how income and expenses are being distributed/allocated. The accountant will want to see bank account statements, credit card statements and canceled checks. The accountant will usually want documents from several years back. Once the accountant has reviewed and analyzed the community, he or she will prepare a report. The expert may also provide expert testimony and/or give testimony at a deposition. The forensic accountant can provide a vast array of significant range and breadth of capabilities in your family law matter. The need for a forensic accountant must be carefully thought through to be certain that it is necessary, taking into account the issues and complexities of the case. Moreover, whether the likelihood of achieving worthwhile results for the client most definitely must be considered.